Ever wonder how you can get around the need to soak the flour for baked goods, when you’re baking something that just doesn’t lend itself to soaking? Or what about when you’re short on time and need to bake something to fill a need, but just don’t have the time for soaking? I’ve noticed that there are now companies beginning to sell flour made of grain that has already been sprouted! What a fantastic idea! The only problem? It costs more than organic, whole grain flours or grains and I’m just too much of a frugal gal to plunk down my grocery money on it. 2) The next day, drain the grains into a colander or strainer. Give them a good rinse under running water (but not too long, remember?). Put the colander over a bowl or plate to catch the extra dripping water. Cover with a clean dish towel. 3) For about 2-3 days, rinse and shake the grains around twice a day (morning and night), or 3 times a day if it’s particularly warm/dry in your house. The point is to not let the grains dry out. 4) Once they have small tails (and mine are a bit longer than necessary- I sort of forgot about them!)) you can give them a final rinse, shake them off well, and then spread them on mesh trays and put in the dehydrator. (If you don’t have a dehydrator, I think that you could probably dry them out in the oven with the oven light on- but not turned on, as this would cook them. I’m not sure how long it would take, but probably a full day- has anyone tried this? If you don’t have a dehydrator, it’s worth it to find even a cheap one from a thrift store or garage sale!) I like to put mine at about 120 degrees F and it takes about half a day for them to dry completely. They need to be absolutely dry because otherwise you will not be able to grind them (they’ll clog up your machine). 5) Once grains are completely dry, then can now be stored in your pantry in an air-tight container. Or if you like, you can grind them right away and keep the freshly ground flour in the fridge (to use up within a week or two) or in the freezer for longer storage (several months). OR, you can just use them right away to make all sorts of scrumptious Christmas goodies! Sprouted flour can be used just like regular whole grain flour in any of your recipes, but the phytates have already been dealt with through the sprouting process! Think I need to go check out the Healthy Holiday Eats and Sweets Carnival and find me some Christmas cookies to make… or maybe these Sprouted Spelt and Maple Shortbread… the options are endless! Does anyone else make their own sprouted grain flour? How do you do it? What types of things do you (or would you) use this flour for? I know blogging takes a lot of time and energy so thank you for sharing this! I might try this! What a great idea! I love sprouted grain bread but it’s so expensive. How do you grind it? Would a food processor work? And can it be substituted for whole wheat flour in a 1 to 1 ratio? .-= [email protected]´s last blog ..Dark Days Challenge: Fiery Chicken and Greens =-. @[email protected], I use a coffee bean grinder set on extra fine. It’s much cheaper than a grain mill and good for the small amounts of flour I use (1-2 loaves of bread a week). I tried grinding the beans and berries for Ezekiel bread BEFORE SPROUTING AND MY PROCESSOR DID NOT GRIND GOOD ENOUGH. i HAVE SOME SOAKING NOW AND HOPE THEY WILL BE SOFTER AND GRIND BETTER. do you always make your own flour? I have read this sprouting idea from you before, but I don’t have a mill/grinder–I take it that is a must-have? Do people do this with actual four? I don’t know anyone *in person* who does this, so I’ve just trying to read bits and pieces here and there for more knowledge. .-= Beth´s last blog ..PayDay Bars Variation =-. I’ve sprouted grains for grinding flour a couple of times and since I don’t have a dehydrator 🙁 I just put it on cookie sheets and turn my oven as low at it will go (170*) and then prop it open a couple of inches with a wood spoon. I’m sure it would be better to have a lower heat but I hope this is better than not sprouting at all! I also store my dehydrated grain in the frige — not sure why! Is it ok to store it on the counter? I’m interested in trying this. I’ve bought sprouted flour in the past, and it is expensive. Thanks so much for this great post! @Sarah m, Yes, I always grind my own flour. You do need to have a flour mill/grain grinder to be able to do this (some really good blenders also have dry jugs that can be used to grind grain, or the Champion juicer has a grain grinding attachment). Also, a coffee grinder will grind grains pretty well, but you have to do really small batches. When you only have flour and no grinding option, then you need to do soaking recipes instead. @[email protected], I use an actual grain grinder, The Kitchen Mill is what I believe mine is called (it’s made by K-Tec). It might depend on the food processor for whether it would work, but it’s definitely worth a try! 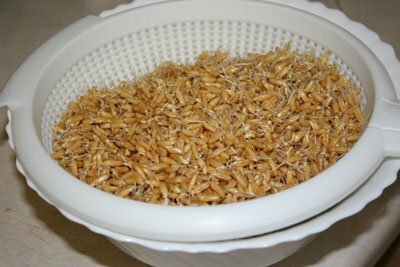 And yes, I substitute it 1:1 if I’m using a wheat-type alternative (like spelt or kamut- the one I’ve used in the picture is kamut). Thank you for this! This was a great tutorial for me and I love the visuals you give. Also, the storage time in the fridge and freezer is helpful. Love it, this helps so much! I have sprouted grain in the past for bread too, but don’t do it regularly. It was yummy though! I usually do a mix of spelt and wheat. Sue Gregg has a very delicious sprouted spelt bread. I know that some food processors have a grain mill attachment- my MIL got one, but I have no experience with it personally. I’m all in favor of home sprouting when it is done safely. I know, I did it for years. But when I came upon Essential Eating Sprouted Flours my life changed. They have done the research to create the level of sprouted flours that I could not achieve at home…and here’s why. Most conventional wisdom about sprouting grains is outdated. Over soaking (which most direct to do) can drown the grain. And a few key things that I could not do at home were to test to assure the grain had been sprouted, sift out foreign matter found in all grain and test to assure the bacteria count was healthy. When grains are sprouted the good and bad bacteria come to life. You need to make sure that the levels are safe. I don’t want to rain on anyone’s parade, but making sprouted flour at home takes a lot of time and attention that needs to be taken into account when considering the cost of sprouted flour that is safe, sanitary and has great consistent baking characteristics so sprouted baked goods are not bricks. Shiloh Farms, the oldest organic food brand in the country sells the Essential Eating Sprouted Flour in up to 50 pound bags. You can set up a wholesale account with the distributor Garden Spot for orders as little at $150. And you can buy all the other items in their catalog which is a huge cost savings. 800 829-5100 x 110. They sell sprouted pasta, pretzels and baking mixes made with the EE flour too. I learned what I know from the Essential Eating web site that has the most current info about sprouted flour. I substitute it one for one in my recipes. Sprouted flour digests as a vegetable, is more nutritious and certainly worth more than traditional whole grain flour. We’re not talking a lot of money here for such a superior product. And the taste. ..absolutely wonderful. @Claire, This sounds too much like advertising one’s company. That’s very interesting about safe bacteria levels … I would think that dehydrating the grains before grinding would kill off any bad bacteria if sprouting, as would baking if soaking (?) Please let me know if there is a gap in my logic. Also, I was under the impression that once the grain is ground into flour that all of the good nutrients were completely oxidized within 72 hours – so even if they have a superior sprouted product – isn’t the flour essentially “dead” by the time you use it? Thanks for any info you can provide on this. Thanks for this, I haven’t been able to get around the soaking/sprouting thing yet. And I NEED to because we have minor gluten issues here and I’ve heard that properly preparing grains can help with this. I may try it now. Hmm…grocery shopping day is tomorrow! Claire/Elaine — I also would like to hear more. If you learn much, would you visit my blog and tell me? I really, really want to learn about this area, it is the next thing in my “whole foods” journey. .-= Kate´s last blog ..God Working in My Life =-. Sounds great! I was just thinking about this the other day. Soaking, so far, what I have tried, has not worked for us. Not sure why. I will keep working on it as I can. I would be really worried about the sprouted, dehydrated grains (I do have a dehyrdator) jamming up my Nutrimill grain mill though. I am sort of scared to try. I guess its since I don’t fully understand. I know it said the grain must be clean and dry to use it. Hi Stephanie! I’m so thankful for your site! Thanks so much for all your hard work. I was so glad to see this post! I have considered doing this for a while. My only concern is that my sprouts won’t be fully dried in the dehydrator and they’ll clog my grain mill! How do you tell if they are completely dried ( I also, have the excaliber)? Also, I read somewhere that temps over 112-113 are killing all the enzymes? Do you know if this is true? @Emily Kines, I just feel them and give them a bit of a squish or try tasting one, to see whether they seem totally dry or not. If I’m in doubt at all, I give them another hour or two in the dehyrator, because I don’t want to risk plugging up my grinder either. Yes, it does kill the enzymes above 114, I think (it’s somewhere in that early teens range, I just don’t remember the exact number). I’m not worried about it with the grains, though, because I intend to bake them at 350 degrees anyways. 🙂 If I’m doing something that will not be cooked afterwords, like dried fruit leather for example, then I keep the temperature lower to preserve the enzymes, for sure! Home sprouted grain has been great for our family as well (currently living with my brother’s family while he is deployed to Afghanistan) since we have 3 adults and 7 children to keep well fed. We sprout 1/2 – 1 gallon of grain (usually spelt, pastry wheat, and kamut) a week and use it for things like pancakes, waffles, muffins, crackers, and cookies. Claire/Elaine – great comments . . . I’m encouraged to research all the more. Thanks for the encouragement to keep on sprouting! I just read that unsprouted grain flour actually pulls valuable nutrients out of the human body. The article states that only cows and other multi-stomached animals are capable of breaking down and absorbing the nutrients of whole unsprouted grain. 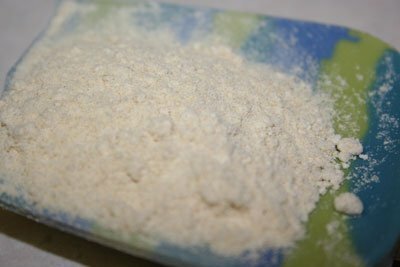 I have made some small batches of sproted flour and found it amazing. It was very filling and satisfying. It has a wonderful nutty sweet taste. I dried it in my oven and occasionally blasted the minimum heat setting for a few minutes at a time. My grain was ready for grinding in about 20 hours. Also, I locked the oven shut, my oven has a latch because it is a self-cleaning model. The latch seals the oven tightly closed like a thermos and speeds up dehydration. The ideal temp is about 90 degrees according to some other posts I have read. I was not too picky about monitoring temp and was still very happy with the end result. I am now saving for a quality flour mill..
( not cheap!!! 200-400) but I am convinced it is a worth while investment. I have followed these steps to make sprouted flour several times, but the flour does not taste right. Sprouted flour that I have purchased never had a different taste, but when I make it, it taste different(not good). Am I doing something wrong or is it suppose to have a different taste? I have read your article on sprouting grains. I plan to make Ezekiel bread. This is a new adventure for me. My oven only goes as low as 170 degrees. Will this be ok for drying the sprouted grain? @Tanya, It should be ok. You’re planning to bake it into bread anyways, so it’s not really necessary to keep it at a super low temperature since the enzymes will be lost in the baking process anyways. If you find that your oven is getting significantly too hot, you can try turning the actual oven off and letting the oven light heat it up. It gets it warmer than you would think. Also try opening the door just a crack to lower the temperature. Obviously, that’s not very energy efficient, but you may have to. It would be worth it to keep your eyes out for a used dehydrator at garage sales this summer! Thanks so much for all this information. It’s just what I’ve been looking for. I’ve been making sprouted bread from moist wheat sprouts in my food processor. Then the blade broke. So now I think I’ll dehydrate and grind in a grain mill. A dry flour would be more versatile anyway. Looking for a good grain mill. Might buy a Nutrimill for about $300. I have really enjoyed your blog. It was the top seach when I googled “sprouting my own grain” and I must say it’s brought me back to wanting a more healthy life again. I’ve been the main motivator in my family for health and nutrition but in the last while I’ve been much more relaxed then I’d like to admit. I use to grind my own wheat, bake my own bread, home schooled, home churched and was a worn out mommy. I was trying so hard to be a good homemaker. But that was with three very young boys (1, 3, 5) and now that they are older it seem like the right time to start again. Thank you for inspiring me. Your blog is refreshing and encouraging and I could spend the whole day just going through your pages. I’m also going to the market for the ingredients for the cold kicker. Do alternative grains like araramth, buckwheat and quinoa still need to be soaked or sprouted? Just a couple quick questions. First, can you use the bottom of a yogart maker (I have a round one that holds the individual cups) and just cover it with a cloth rather than the lid? Second, if the baking of the flour in the bread causes it to lose the enxymes then why sprout it, is it still better? ps I have been making bread for several years and I am tring to move more in the area of raw foods. I soaked my first grains yesterday. I bought wheat berries from the farmers in the valley. I’ve noticed I enjoy eating sprouted wheat bread much more than regular, so I finally got around to sprouting my grain. I checked your website to see about drying it before grinding it. It sounds pretty straightforward. I look forward to trying the flour next. I am having difficulty grinding spelt fine enough in my blendtec. Does anyone have advice for that? I went ahead and made cookies and they were too grainy so I haven’t made bread yet. Don’t think it would work without the right texture of flour. I posted a question on facebook but I think it might have been removed. Sorry if that was bad etiquette! I’m just trying to find some answers. I sprouted some hard white wheat berries for the first time. They seemed to sprout really well (the little tales were about 1/8-1/4 in. long). I recently got a grain mill and after I ground up the berries there was a different smell to them that is different from store bought flour. I’m wondering if this is ok or did I do something wrong? Thank you in advance for any help! BTW, I LOVE your website! Keep up the good work! 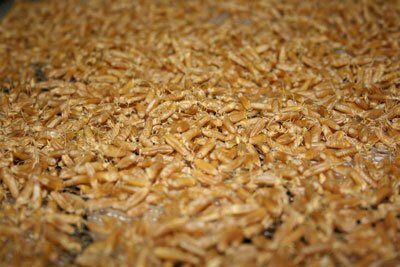 Sprouting grain is the process of malting grain such as barley malt. The flour will smell different (better) and your bread will taste better, also. That at least is my opinion. also, I use my Nutri Mill for grinding sprouted grains. Just make sure they are very dry. I got the same smell. Not really an “off” smell but definitely noticeable. Have you made bread or cooked with the flour yet? If so, does it smell or taste different? I would hate to give up doing this at home and have to buy very expensive commercial sprouted wheat again. I am wondering, obviously soaking and sprouting are two different processes, but is there any health or taste benefit of one over the other? I know they both break down the phytic acid, but is there any thing further that sprouting benefits your body over soaking? I have soaked grains, but I wanted to try sprouting- though the sprouting process seems to be more time intensive. I do have a grain mill. Thank you for the info.! I think that sprouting is probably the more effective of the two, although yes, it can be more time consuming. I also like the results of using a sprouted flour over a soaked recipe sometimes, although we’ve learned to really enjoy baked goods made in either way. Thanks for trying to help us with this. I’ve actually gotten the wheat sprouted, and dehydrated. It smells pretty good so far. I even chewed a few sprouts like chewing gum like one of my sources said her boys did. I thought my new food processor would grind it up. You can all laugh at that. And just in case you don’t know, it won’t. So what is a person to do who doesn’t have the $200-400 in the budget right now to get a flour mill? Or if I store the dehydrated sprouts until I can get whatever it is I need, just exactly WHAT do I need to grind my wheat? I feel like the Little Red Hen. I’ve figured out the sprouting and dehydrating with the help of web sites. Hopefully with your help here, I’ll get a loaf of sprouted grain bread which I am going to eat all by myself. I’d share, but none of you wonderful people are around!! I meant sprouted grain in the first sentence…oops! I know this comment is late but someone recommended getting a coffee grinder until you can afford one (or to be sure you will continue) grinding your grains. I bought a Krupps grinder for $49 at Bed Bath and Beyond. Works great for me. Thank you very much for the great information on your site. I also do sprouted flour, but I firstly wash the grains with some vinegar and then I soak them for 36 hours, when they start to show the tini tales I drain them and put them in the dehydrator until completely dry and then put them in the dry container of my Vta-mix to make the flour. It is a simplified method and really works for me! Great article! I had never tried sprouted grains for flour, but this really makes a difference. I see a lot of folks using various means to grind the wheat, but I highly recommend a true grain mill. They don’t have to be expensive either (although the pricey ones DO last longer). I looked at the videos at this site http://www.onlygrainmills.com and thought they were pretty good. I have the Wonder Jr. and it works great and has a lifetime warranty. This is wonderful information thank you, and the pictures are great. I’ve been wondering if I could sprout my wheat berries and then I got a bonus, grain flour. I love your blog. Thanks for explaining everything so clearly. I do have one question though. I am in the market for a grain mill but they all seem to say they do not mill sprouted grain, can you suggest a mill? 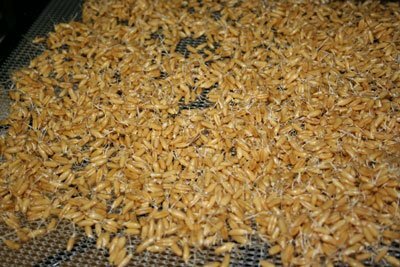 I am already sprouting grains like millets and wheat.But i want to try barley .I do have a question though.After sprouting barley,should I remove the husks before grinding it into flour or is the husk edible,that I can grind with the skin on? I saw this post last year trying to find how to sprout then dehydrate wheat berries. I thought I’d share my experience with you. My husband planted red wheat on 1/4 of an acre last summer as an experiment (we have been gardening and I do can; we are both into food security, but unlike him, I am quite a fan of Sally F’s NT and a follower of several fb pages on real food). Harvested quite late, some of the grains had sprouts already. Anyway, using your post and photos as my guide, I tried to sprout some in two half-gallon Ball jars with a cover meant for sprouting, then dehydrated at 120. My husband was aghast, and he did not want me to dehydrate the rest since we had a very good bread the first time I baked with our own wheat (he was afraid I’d ruin it). In any case, I kept the dehydrated grains in a plastic container. Yesterday, the container that had the non-sprouted grains had some insects inside! I showed it to my husband. Then I remembered the container with sprouted grains, a noticed there was no insect inside. I opened it while hubby was watching, and had a whiff of sweet smell emanating from the container. I let hubby smell it, and that’s how I convinced him to let me try baking it. He ground the flour this morning (and he even tasted it; said there was no difference in taste with the unsprouted flour). I baked two loaves of honey whole wheat this afternoon, and they rose beautifully! So now I feel confident to sprout and dehydrate the rest (then maybe we won’t have those pesky insects anymore). Thanks for your post! Thanks for this information. 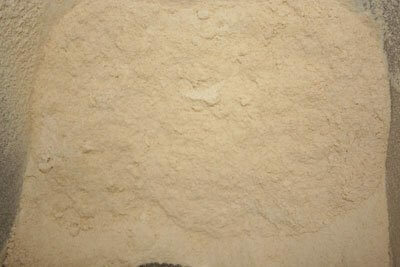 I am just beginning to make sprouted wheat flour as a support for a raw diet. I am the kitchen manager for a meditation retreat center, and so I will be needing to grind much more than the little bit I did last night in a Vitamix. (I was really impressed with how sweet and flavorful the course flour was with just water, like a cereal, except better.) I have read quite a few websites about this, but none speak of the grinding process. I am interested in any recommendations about flour grinders that would be good for this task. Thanks for all the information. So I have successfully sprouted, dried and milled my wheat berries into a lovely flour. Both (4 loaf) batches of bread have had to be fed to the chickens as the bread is VERY gummy ( and collapses) even though the thermometer reaches 180 degrees. When I use the very same recipe with freshly milled wheat that has not been sprouted, the bread looks and tastes amazing. Why is this, I want to know!!!??? Thanks!!! I find this to be very frustrating as it is not altogether cheap to make fresh bread! Just a quick question. I have tried 3 different varieties of flour with different sprout lengths and all have an odd smell when ground. It isn’t a sour smell exactly, but it definitely smells different than commercial sprouted wheat. I rinse the wheat 3 times a day and it doesn’t smell bad before or after the dehydrator, only when ground. Am i doing something wrong or could it be my mill? I meant to type ‘wheat’ not ‘flour’ in the first sentence. Oops.